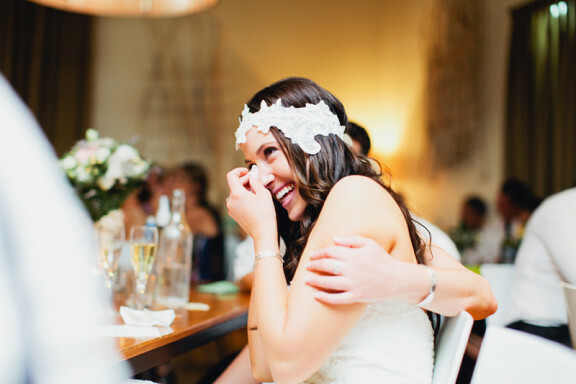 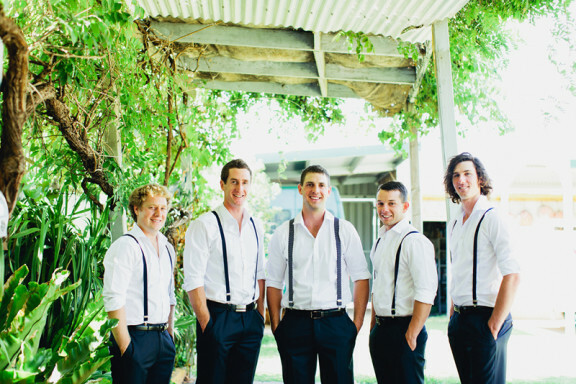 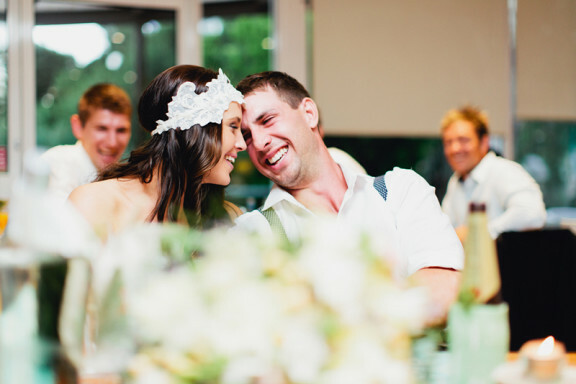 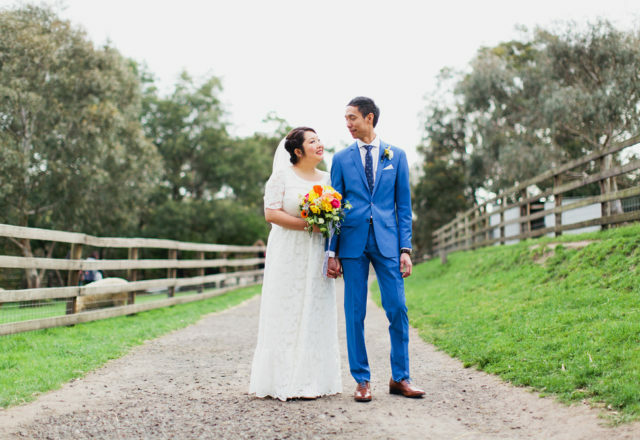 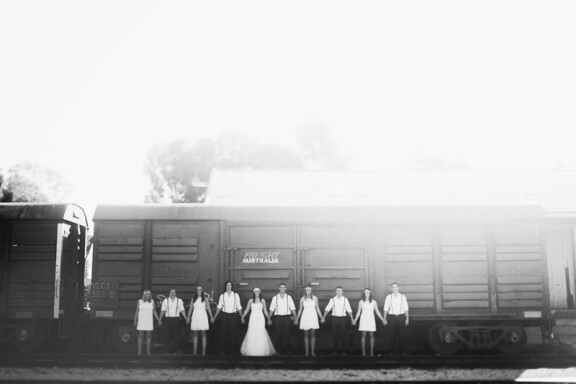 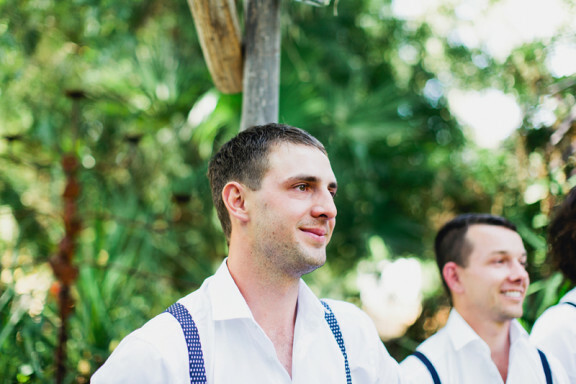 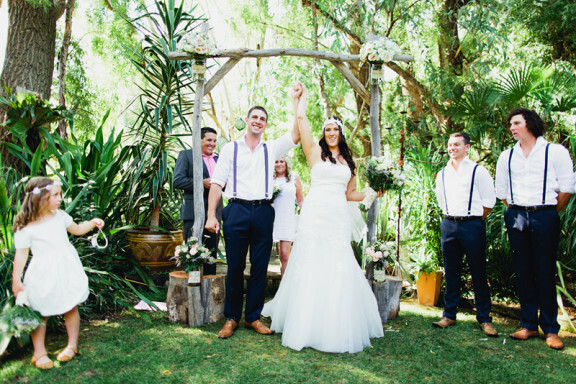 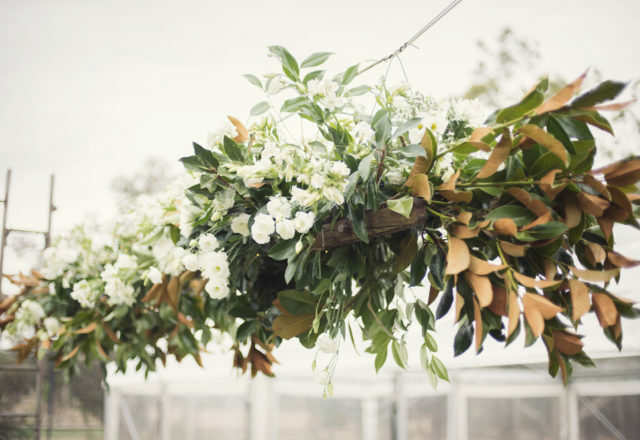 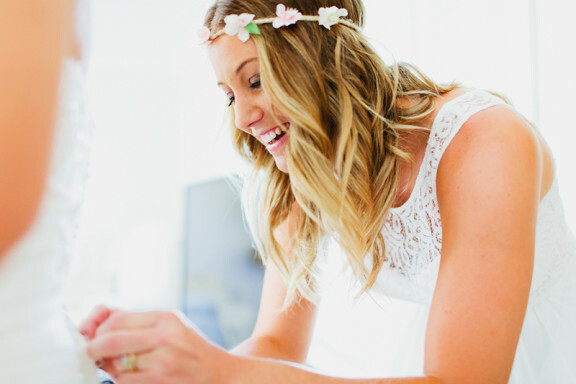 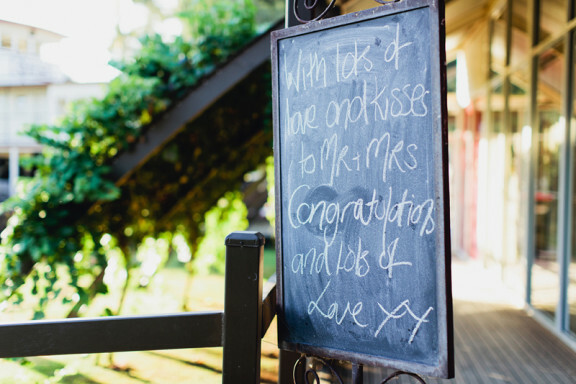 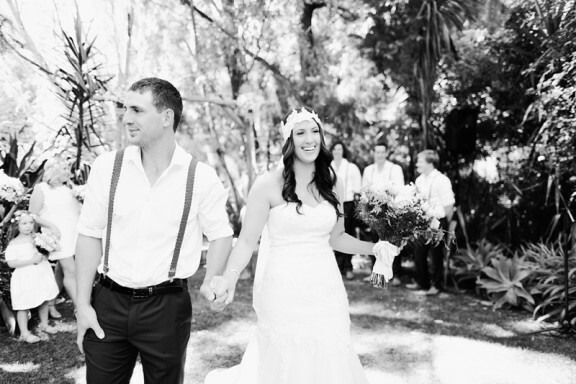 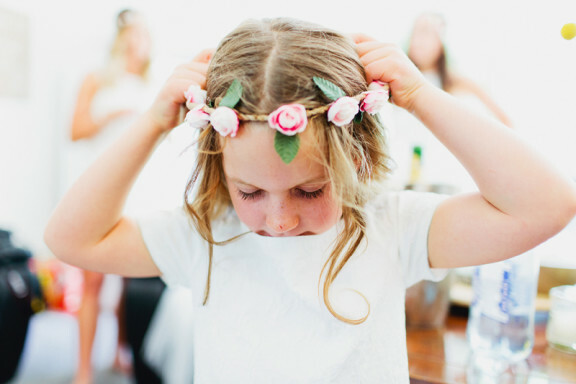 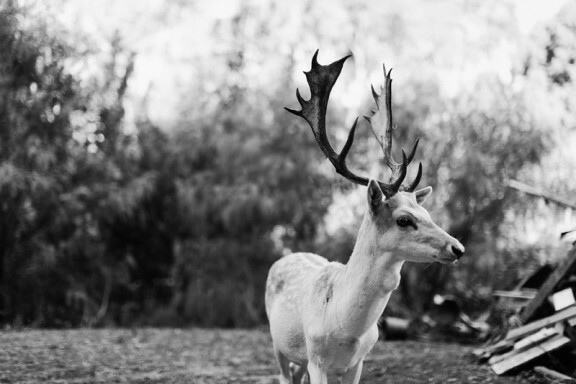 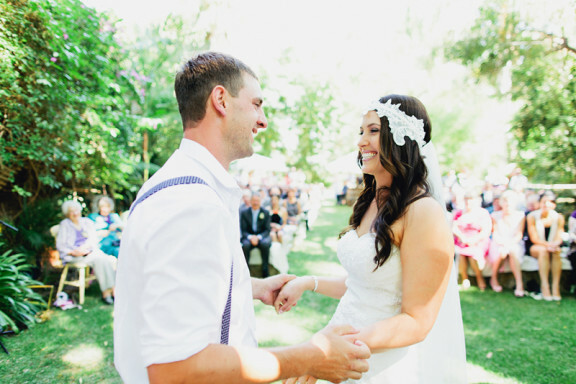 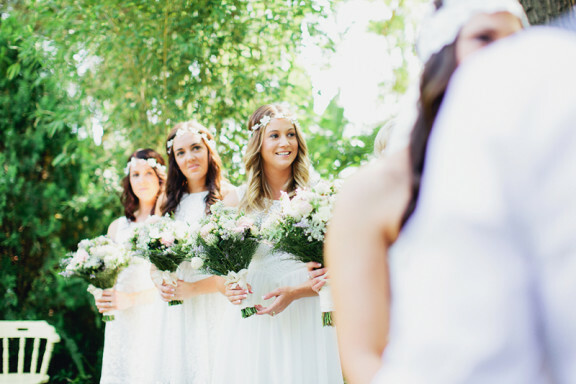 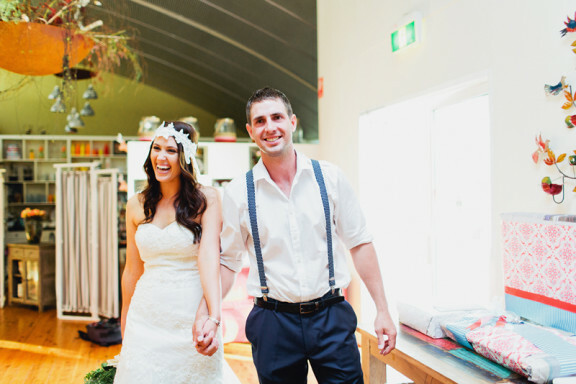 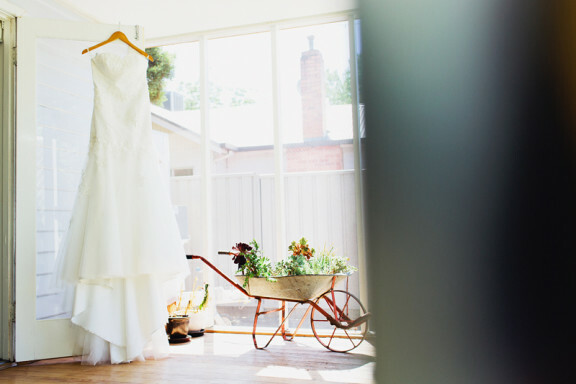 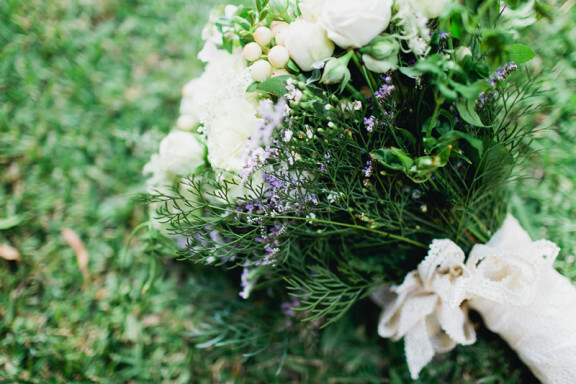 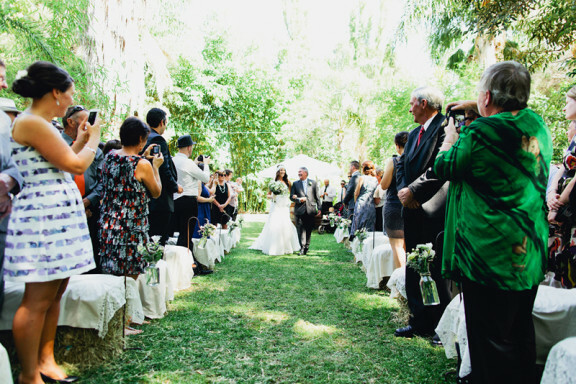 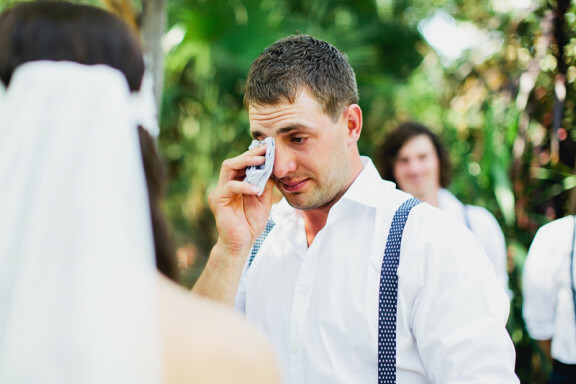 Both having grown up on farms, Bonnie and Justin’s Swan Hill wedding was intrinsically rustic. 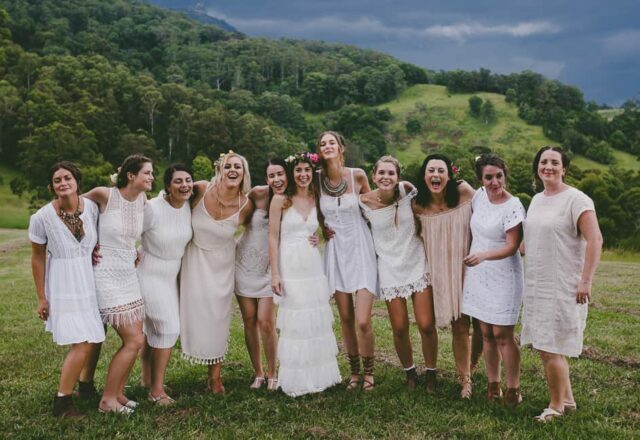 And another little theme emerged – with a reception at their beloved haunt Spoons Riverside (where Justin had once followed up breakfast with a proposal), and vintage spoon bracelets from MonPetiteChouBoutique prettying up the wrists of Bonnie and her bridesmaids. 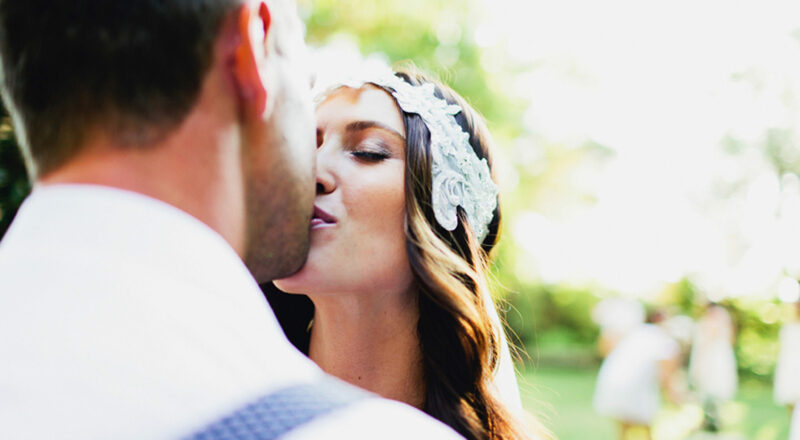 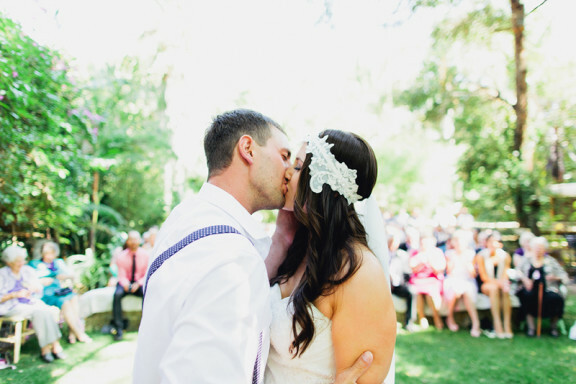 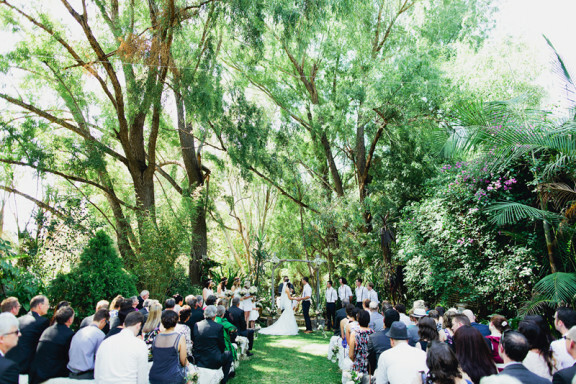 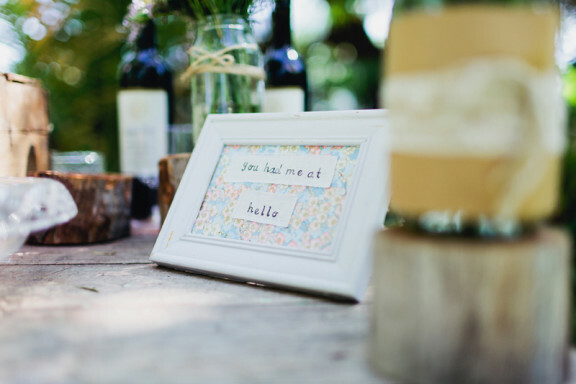 They exchanged vows in a private garden (a lucky find after their first option cancelled), encircled by lush forest. 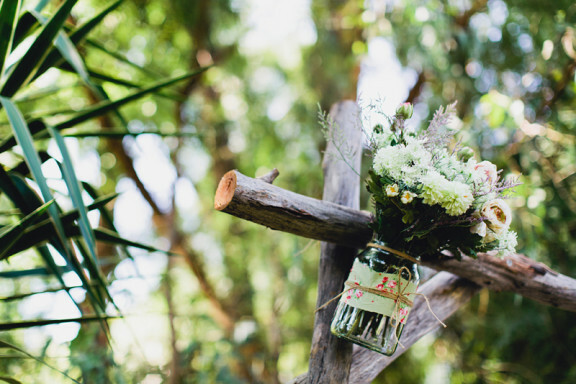 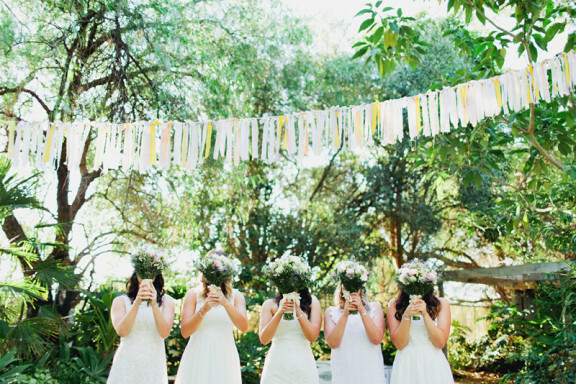 A grassy, hay bale-flanked aisle was lined with flower-filled jars, hanging from custom-made crooks by Farm Yard Flowers. 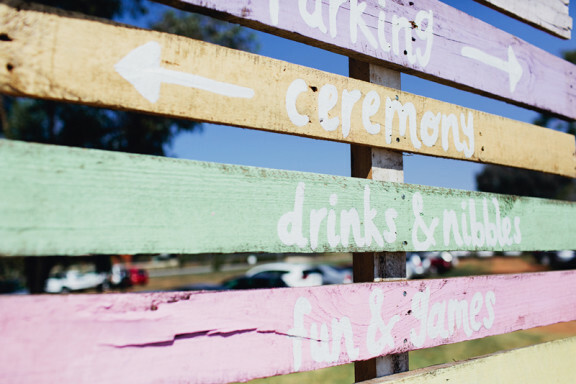 After a ceremony led by Hayden Price (the chaplain at Swan Hill College, where former-schoolmates Bonnie and Justin met), their guests enjoyed beer, earlier brewed by the couple at Bendigo’s True Brew. 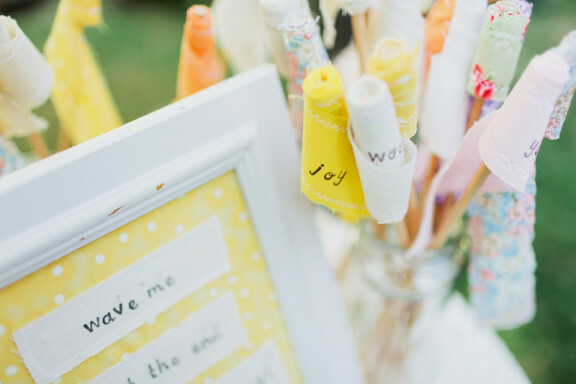 After toying with the idea of a marquee reception, they decided Spoons was better value, not to mention less laborious. 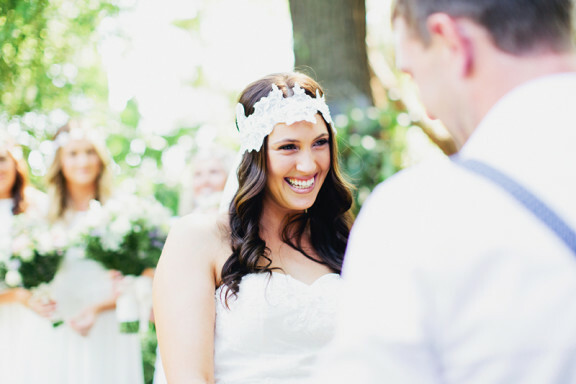 “We had always wanted something on the river,” says Bonnie, “so it suited us perfectly.” Her love of all things vintage guided their styling, not the least of which her 1950s-inspired engagement ring, and gorgeous lace headpiece – which she fashioned from her wedding dress strap. 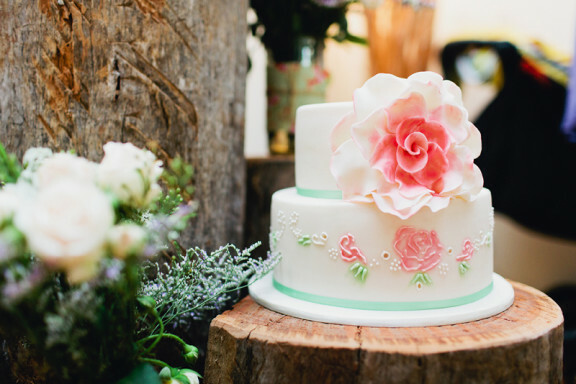 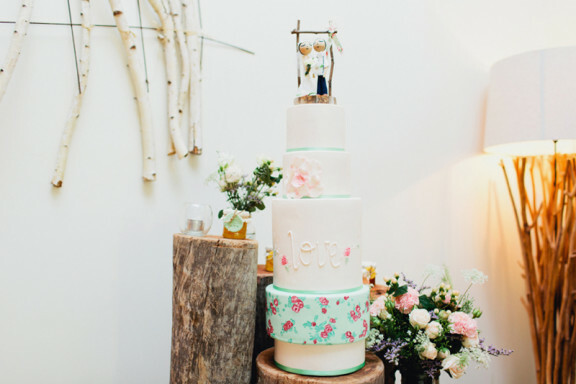 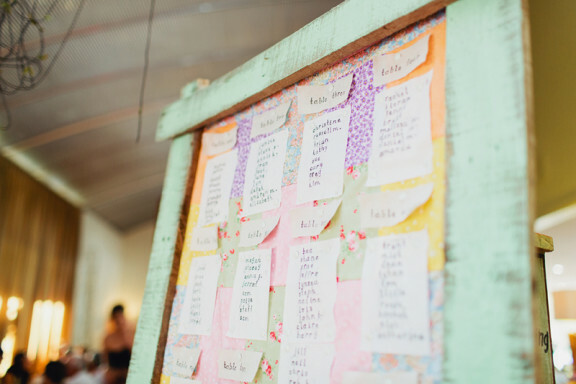 She also hand-stamped their seating chart and place cards, made floral wreaths for her bridesmaids and created the luscious spread of cakes that made up their roving dessert (she is, after all, Bonnie of Bon’s Little Cake Bakery). 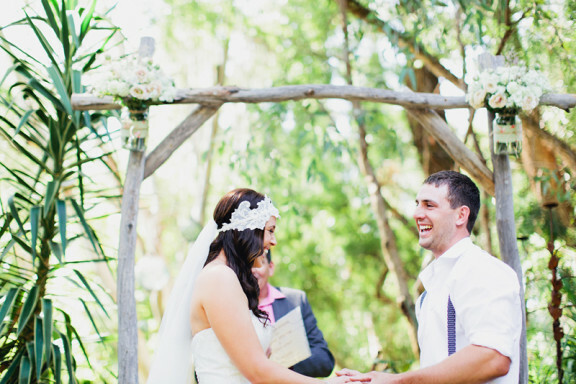 Justin lent his carpenter hands to timber details including the arbor, cake stands and wooded rounds for the tables. 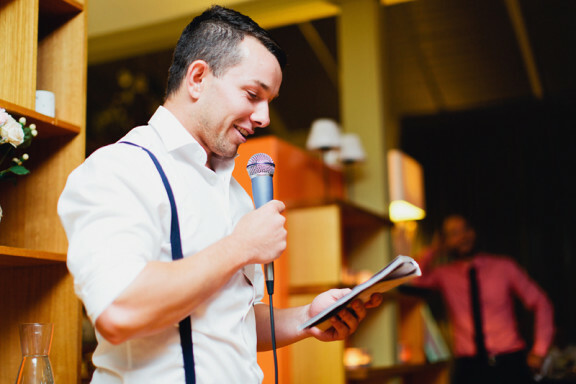 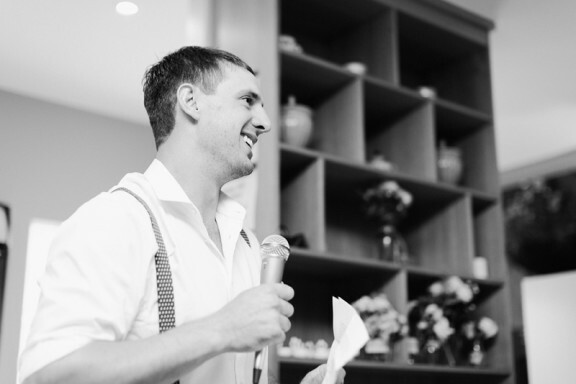 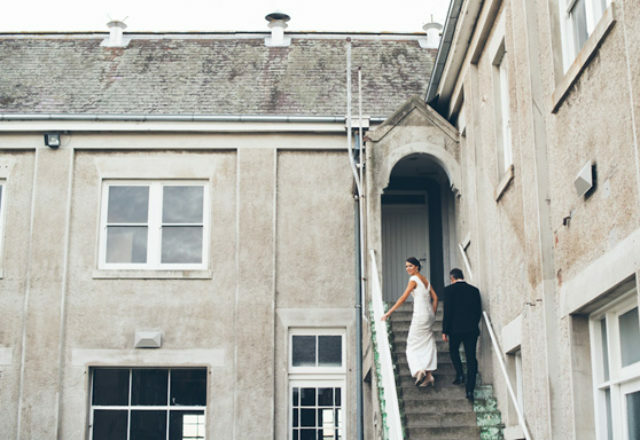 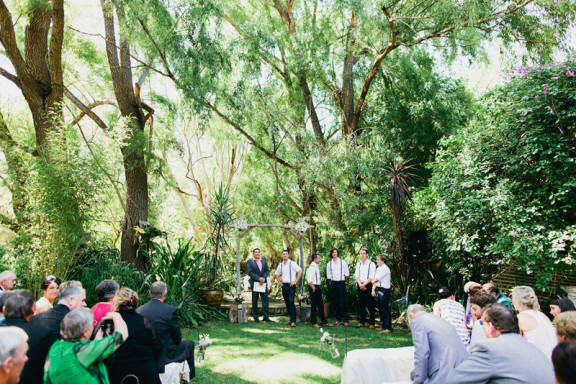 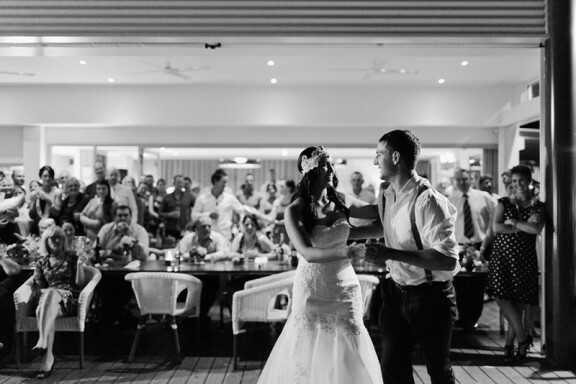 The pair decided on their photographer before they were even engaged – the amazing Sayher Heffernan – a friend of Bonnie’s musically gifted brother Josh, who performed while their guests arrived at the ceremony. 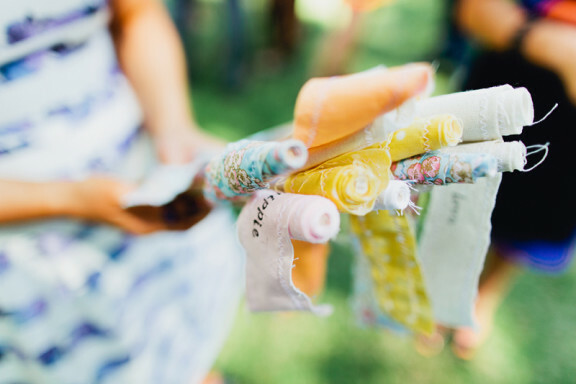 The bride’s earrings were crafted by her sister, and grandma’s marmalade made for delectable favours. 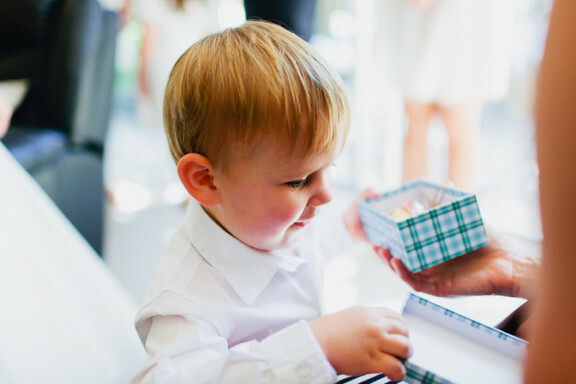 Not to be outdone, Justin’s dad also contributed his homemade honey to the take-home treats, and the groom’s jeweller aunt and uncle custom-designed and made their rings. 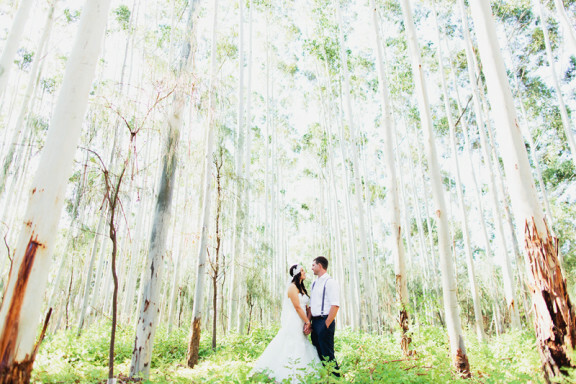 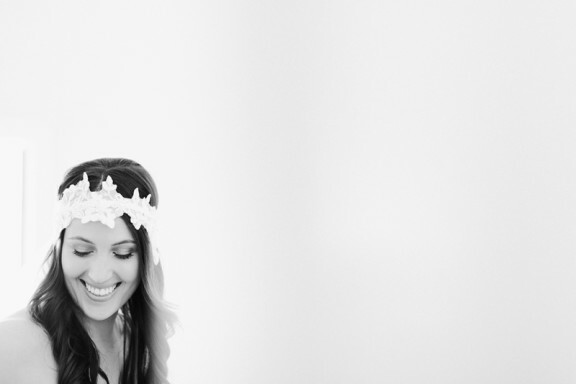 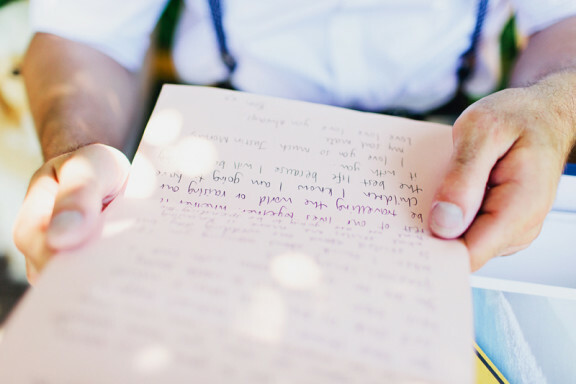 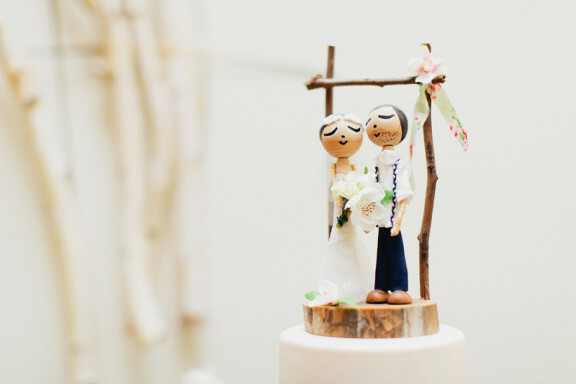 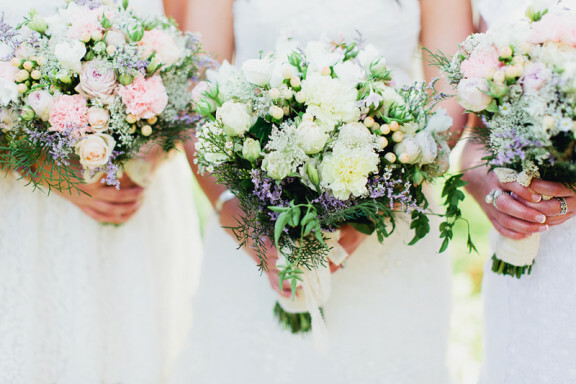 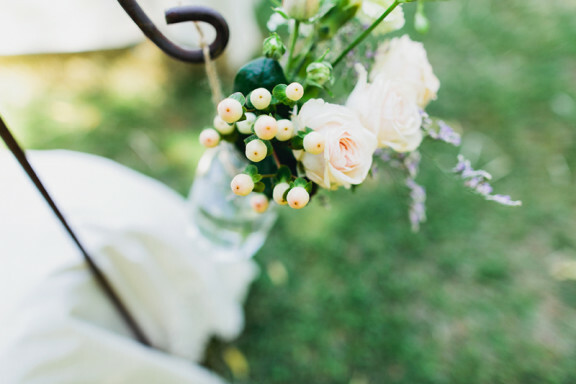 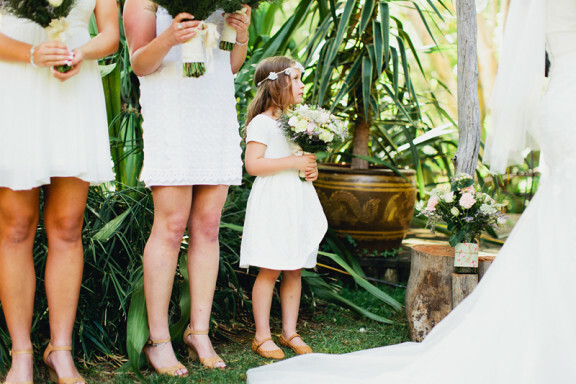 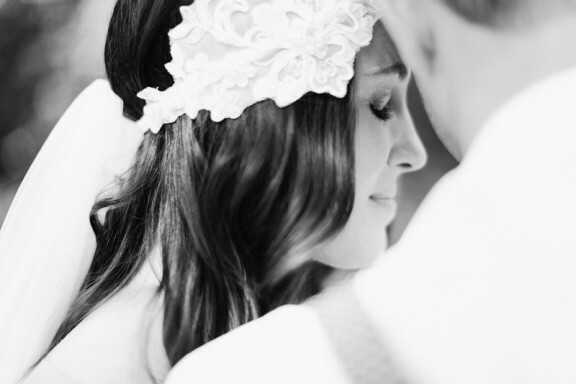 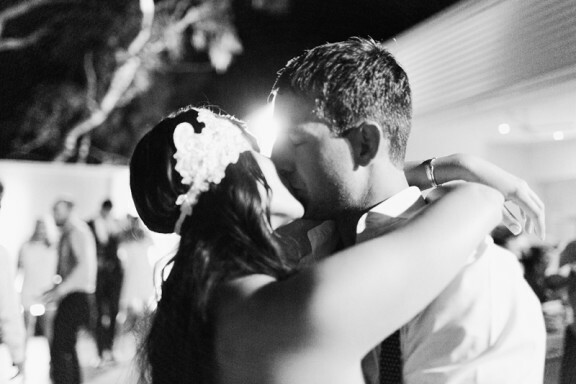 Gorgeous Wedding, love the photos by Sayher.